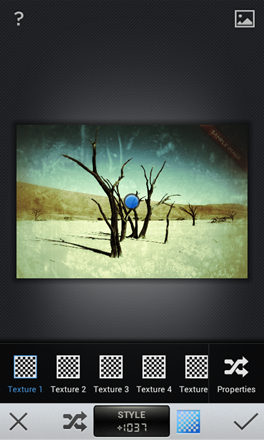 In 2011, iPad users started using Snapseed for all their photo-editing needs. Early 2012 saw a Windows and Mac version of the app released; and with the holiday season in full swing, Snapseed has now been unveiled for Android devices. “Snap it. Tweak It. Love It. Share It,” – a tagline that encompasses everything that you love doing when you have a digital camera in your hand or even your handheld device. Snapseed has created a lot of buzz with Android users and the app is enjoying a lot of popularity. Let’s see how it stacks up. OS requirements: Supporting Android 4.0 and higher, Snapseed is a free app with a name that is already quite familiar to Apple and Windows users. If you’ve used this app on an iDevice, then you will find that the Android version is nearly identical. A simple user interface that allows you to choose from a wide variety of editing options makes this app easy to navigate. Once you click an image, rectangular boxes appear at the bottom of your device (in portrait mode) that denotes the various changes you could make. A fixed icon on the app allows you to compare the edited copy with the original image. The latter is saved separately, so you don’t have to worry about doing irreversible damage to a picture. If you look in the upper right-hand corner, you will find a question mark. Clicking on it will give you hand drawn instructions on how to edit effectively. Most people use Snapseed in order to enhance or lighten the brightness, contrast, sharpness of an image. The app handles these tasks easily, giving you the perfect image. Straightening and cropping is also a breeze. The Sharpener Pro 3.0 plugin, that advanced Photoshop users will be familiar with, is also available here. Circular control points can be added to an image when you want to edit a particular portion. This is very convenient when you want to increase/decrease the brightness of one section of an image. This region-specific editing is a huge hit with users. The Vintage Tool is a lot of fun with 9 retro looks to choose from. However, the Grunge Tool will see you spend a lot of time choosing from a plethora of 1500 style settings. If you’re using the Drama Tool, then be ready to convert a boring image into something eye-catching. Google’s (Snapseed owner) idea to add a massive G+ button just below your edited photo is quite a predictable move. But you can choose to share your image on Facebook or Pinterest by clicking on the Share Menu. 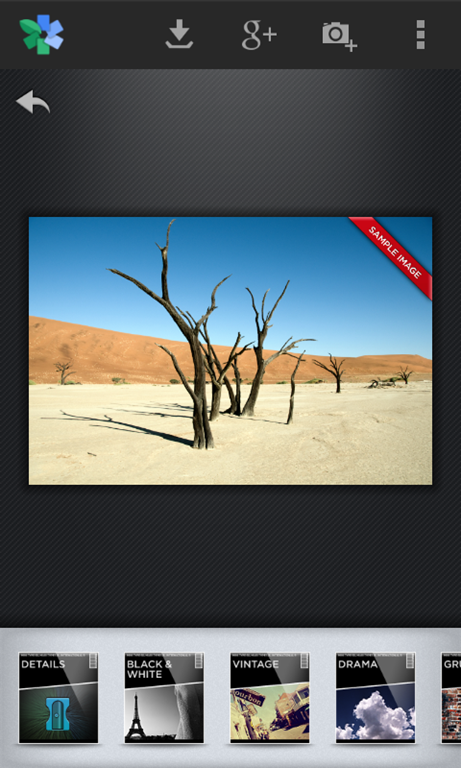 A direct competitor to Instagram, this app allows you to do much more with your photographs. Snapseed’s dedication to providing users with professional editing tools in a simple interface takes it above Instagram’s service. 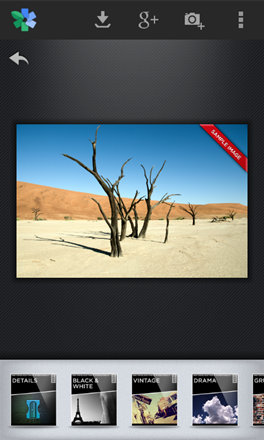 This is certainly the app that could help you experience a new year with some great picture moments.